Glasson Hotel & Golf Club Westmeath. Golf Hotel in Athlone, County Westmeath. With Golf onsite or nearby. 4 star Golf Hotel in Westmeath, Ireland. Welcome to the Glasson Hotel & Golf Club Westmeath. The 4-star Glasson Hotel has a Championship golf course and is 5 miles from Athlon. It offers rooms with Lough Ree views, a sauna, and a glass-fronted restaurant overlooking Killinure Bay. For more information or to check the availability of this Hotel in County Westmeath please click on the availability link above and below. 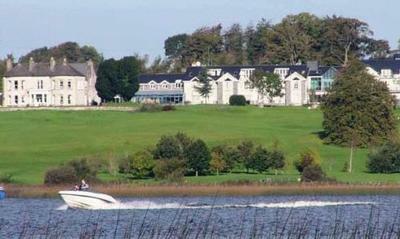 The Glasson Hotel & Golf Club is in Athlone Westmeath, Ireland. The address is Glasson, Athlone County Westmeath.